still working on this, I’ll finish someday…. 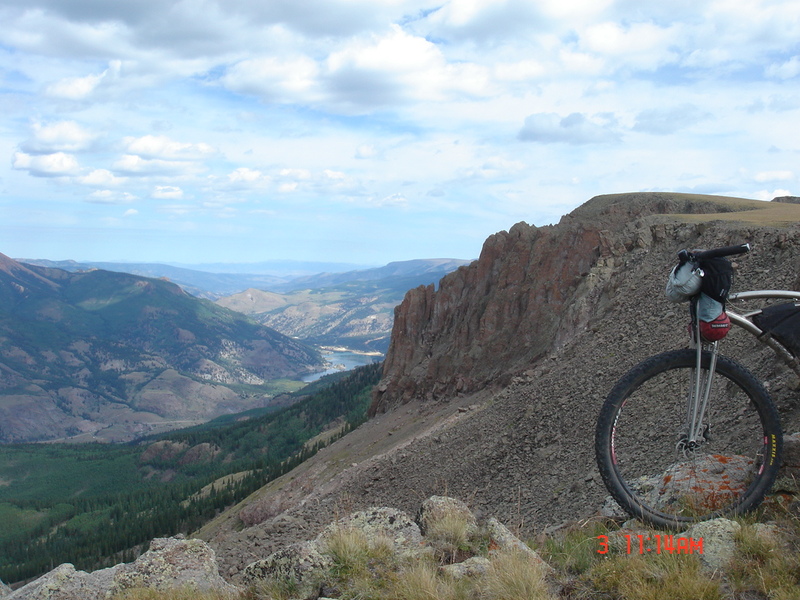 As I biked and hiked (hike-a-biked) the Colorado Trail I spent countless hours thinking about writing a book about my adventures. I’m not sure that anyone really cares about my adventures, but I am sure that many people want the data from my adventures. Sure, one can buy the Colorado Trail Guidebook and the smaller databook. But those publications don’t really prepare a biker – a single speed bike packing freak – for the experience. 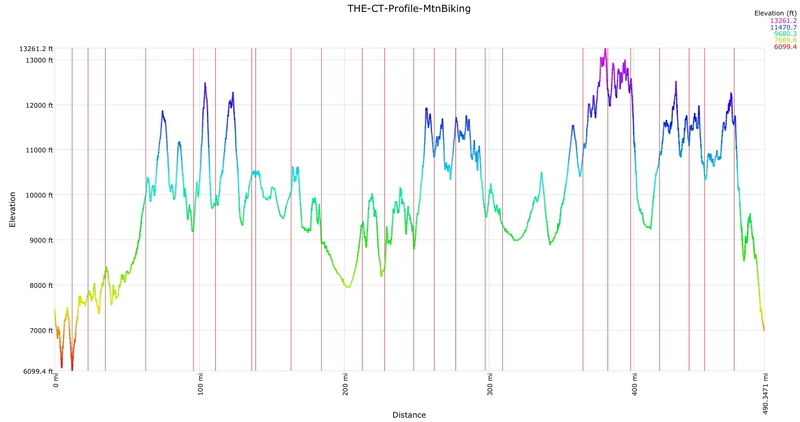 The usual questions exist for all those that travel the Colorado Trail, hikers and bikers… What is the elevation profile of each segment? Where is the water? Where are the campsites? Well, the official Colorado Trail books provide many answers to these questions. Go buy it, donate to the Colorado Trail. Just do it. But there are other questions that exist and that I hope to answer with this set of information…. What are the actual elevation profiles? (Yes, it all depends on the ‘instrument’ used to gather the data.) 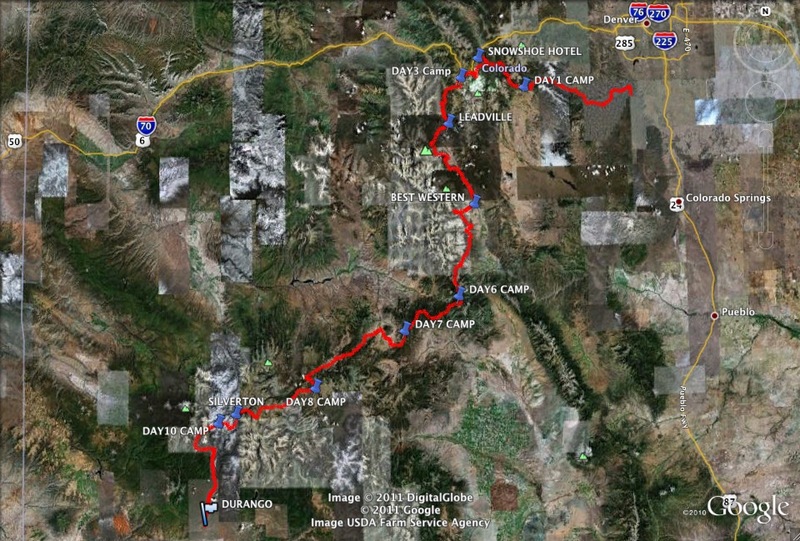 How long will it take to bike / hike-a-bike each segment. What do I need to know in order to have a successful, fun, safe bike trip on the Colorado Trail. What is it REALLY LIKE? To answer these questions I assembled a blog page for each segment and each bypass. 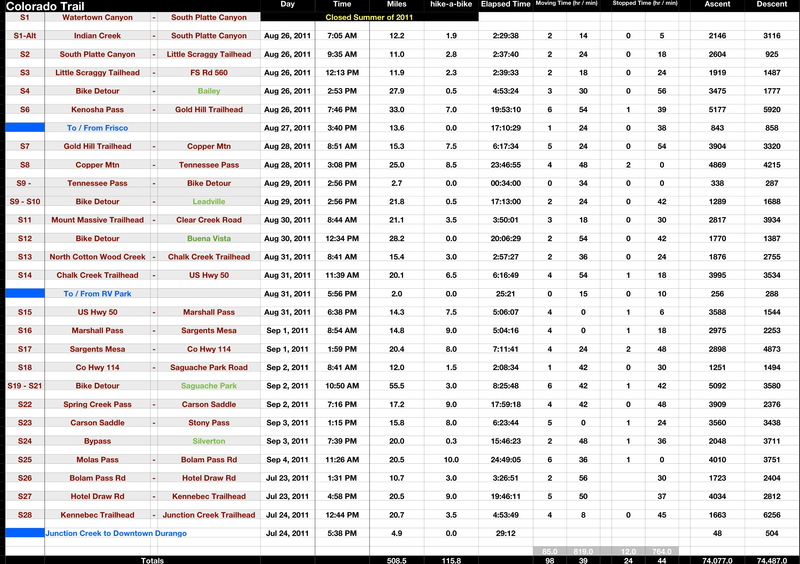 The data includes a brief summary, the gps data and my travel time. I also provide links to all my pictures, the gpx files and the Google Earth kml files. Yep. It’s all there, just because. So. I may not write a book – but books are so 20th century. Maybe this blog and set of pages will provide information useful to many. I’ll surely add to the site, improve the site, keep up the site… as I intend to spend many more summers on the Colorado Trail. So check out all the pages on the right sidebar. Contact me if you have any questions. Let me know if you find any issues with my information or any real bad grammar mistakes or problems with my sentence structure. Ok that’s a joke.